Dax Phelan’s JASMINE, starring Jason Tobin, Glen Chin, Grace Huang, Sarah Lian, Byron Mann and Eugenia Yuan, will have its New York City Premiere at the Village East Cinema (181-189 2nd Avenue) at 6 p.m. on July 30th as part of the 38th Asian American International Film Festival. Click here for tickets. Leonard To (Jason Tobin) is a man who is struggling to come to terms with the unsolved murder of his beloved wife, Jasmine. After more than a year, he decides to come back to Hong Kong and move on with his life. He searches for a new job, attends group grief support meetings, and reconnects with Grace, a woman from his past. While he still calls the police, hoping Jasmine’s murder case will be resolved, Leonard does seem to start life anew. On the first anniversary of Jasmine’s death, Leonard visits her burial site and crosses paths with a mysterious man, who Leonard becomes convinced is a prime suspect for his beloved wife’s death. Leonard decides to investigate and follow this man, in hopes of finding connections to his wife’s murder, and reports the man to the police. However, when the police fail to arrest the man, Leonard realizes that the only way for him to stop his own fiery downward spiral and move on with his life once and for all is to take matters into his own hands. The result: a shocking and unforgettable final revelation. In his directorial debut, Dax Phelan keeps us on an edge of our seats and takes us on a roller-coaster ride with his star-studded cast and crew. With a strong character-driven narrative and constant suspense all set in the bustling city of Hong Kong, Dax Phelan creates a story that is bold, riveting, and shocking with a theme that is universally relatable to anyone who has ever loved and anyone who has ever suffered. JASMINE is dedicated to Dax Phelan’s mother. There will be an after party following the screening at Leaf Lounge in Flushing (133-42 39th Ave, 10F, Flushing, New York 11354) at 10:30 p.m.
Dax Phelan is an award-winning screenwriter, producer, and director based in Los Angeles, Hong Kong, and New York. Phelan was previously the Creative Executive for veteran producer Mace Neufeld (THE HUNT FOR RED OCTOBER) at Paramount Pictures and Sony Pictures Entertainment on projects such as THE GENERAL’S DAUGHTER, THE SUM OF ALL FEARS, and THE EQUALIZER. Last year, Phelan teamed up with Academy Award-nominee Oren Moverman to executive produce Anja Marquardt’s SHE’S LOST CONTROL, which was nominated for two Film Independent Spirit Awards: Best First Feature and Best First Screenplay. He is currently adapting Neil White’s memoir IN THE SANCTUARY OF OUTCASTS for producer Stratton Leopold (MISSION: IMPOSSIBLE III) and co-producing Orson Welles’ final film, THE OTHER SIDE OF THE WIND. JASMINE is Phelan’s feature directorial debut. Phelan was awarded the Grand Jury Prize for Best Narrative Feature for JASMINE, which also won in the categories of Best Editor (Chris Chan Lee), Best Cinematography (Guy Livneh), Best Sound Design (Lisa K. Fowle) and Best Actor-Drama (Jason Tobin). To learn more about the full schedule of events, visit http://aaiff.org/2015. Tickets for general admission are $14. Tickets for seniors (65+), students and handicapped (must present valid ID) are $12. Tickets for ACV members and Community Partners are $10.50. Tickets will be available for purchase on the AAIFF website on Tuesday, June 23, 2015. For Opening, Centerpiece, and Closing Night Events, please check website for ticket details. 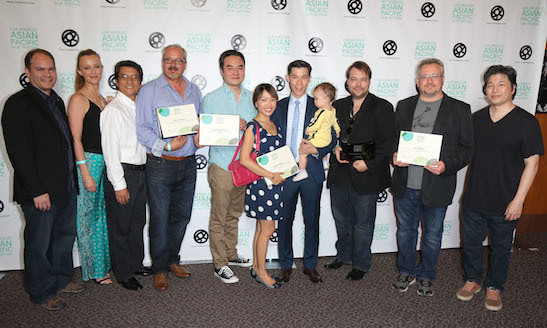 The Asian American International Film Festival (AAIFF) is a presentation of Asian CineVision. The festival is a celebration of inspiring Asian and Asian American works in film and video from innovative artists around the world. AAIFF 2015 takes place July 23-August 1, 2015 in Manhattan and Queens. Manhattan venues include: Cinema Village East (181-189 2nd Avenue); Asia Society (725 Park Avenue); Museum of Chinese in America (215 Centre Street); Queens venues include: Museum of the Moving Image (36-01 35th Ave, Astoria); Queens Botanical Garden (43-50 Main Street, Flushing); and Flushing Town Hall (13735 Northern Boulevard, Flushing). 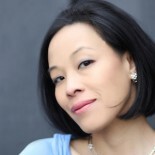 Asian CineVision (ACV) is a 501(c)(3) nonprofit media arts organization devoted to the development, exhibition, promotion, and preservation of Asian and Asian American film and video. 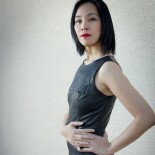 This entry was posted on July 19, 2015 by Lia Chang in Asian American Artists, Entertainment, Film, New York and tagged #AAIFF2015, 38th Asian American International Film Festival, Asian American Directors, Asian American Filmmakers, Asian CineVision, ASIAN-AMERICAN ACTORS, Byron Mann, Chris Chan Lee, Dax Phelan, Eugenia Yuan, Glen Chin, Grace Huang, JASMINE, Jason Tobin, Noir, Sarah Lian, Village East Cinema.